At Parks, Chesin & Walbert in Atlanta, Georgia, our employment attorneys focus on client service. Whether our clients come to us from the Atlanta metropolitan area, Georgia or from across the country, whether they seek our advice, counsel and guidance, or our representation in court, we strongly believe that they should not only be well-represented, but also feel well-treated by their law firm. That is what we do on a daily basis. We are proud to have earned many landmark victories for our clients and are likewise proud of our reputation for innovative approaches to legal challenges and the positive results they achieve. 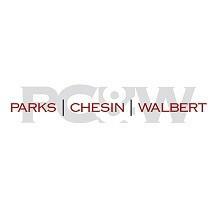 Parks, Chesin & Walbert offers free initial consultations. Overview of the methods and rules surrounding the construction of laws in the State of Georgia. General overview of issues that an attorney in the land use sector may face when litigating cases related to Section 1983 of the Civil Rights Act of 1871, 42 U.S.C. A guide for attorneys to navigate the complex federal, state and local rules related to procurement and managing the procurement process. Representing the Plaintiff: Settlement or Trial, Walbert, David F.
Guide for attorneys involved in medical malpractice litigation.